Santa Fe, New Mexico 2008: "I have a Master's degree in shamanic practice, and am a member of the association of shamanic practitioners". The woman who organized the workshop spoke to us matter-of-factly, as if describing her accounting credentials. She described earlier training with a psychologist whose patients were not getting better despite extended sessions. So she went and studied with a "real shaman" in Borneo. A short discussion followed as to where exactly Borneo might be. Since the organizer and the one man in the audience could not agree, we moved on to another geographical conundrum. "The original shamans came from Mongolia", the man stated in a friendly but authoritative tone. "Well, shamans as we know them came from Siberia", the organizer replied quickly, trying to regain her momentum without much success. "That's in Mongolia, Siberia is in Mongolia", the man said calmly and with impressive certainty. "Sure", the organizer agreed, capitulating geographically for a second time in a row. I was determined not to take on any such role in this conversation, however, as it did not ultimately appear to be about facts of geography. Rather, I wanted to find out how "Every Woman's Shamanism", as the seminar was titled, came to this part of the United States in the twenty first century, and what connection, if any, it might have to the longer history I had begun to trace. Where is Siberia for today's world of shaman practitioners? Indeed, what is Siberia if it can just as well appear in Mongolia as any other equally distant place, vaguely connected to the eastern part of the Russian empire? Clearly, it was not simply an area on the present day globe, struggling through the aftermath of Soviet industrialization, but also a conceptual space, a site of difference and spiritual purity. The participants of this workshop were hardly alone in either their fascination or imprecision with Russia's eastern frontier. Western Europeans have long located Siberia in both a real geographic place and an imaginary space. Their narratives describing the people, nature, and physical geography of the region changed multiple times, depending on who was searching. Siberia, tracked down through this geographical and cultural imagination, acquired an additional dimension of being a place that was "not Europe", while still attached to it physically and historically. A strange mythical land, ever famous for its vast size and forbidding climate. Other details kept changing, conjured up as possibly true or possibly not real at all. The cold, the ice and the strange mythical animals, whether called Wild Woozles or not, were common tropes in describing the eastern expanse of Russia. The Eastern Pole - previously known as Tartary - persists in various renditions to this day. Alternating between horror and wonder, Siberia has for centuries occupied a space "between heaven and hell"3. Westerners continue to imagine Siberia through such metaphors: a frozen land at the edge of the world, a place where few have actually gone but which still evokes strong associations. The Russians, on the other hand, have long had a far more complicated relationship with the region, for reasons of greater familiarity, proximity and centuries of involvement. Wild Woozles have haunted its narratives of Siberia for a very long time. The Land of White Death. At all seasons and under all circumstances this immense borderland of moss tundra is a land of desolation. In summer its covering of water-soaked moss struggles into life, only to be lashed at intervals by pitiless whips of icy rain, until it is again buried in snow; and in winter fierce gales, known to the Russians as poorgas, sweep across it from the Arctic Ocean, and score its snowy surface into long, hard, polished grooves, called sastroogee. Throughout the entire winter it presents a picture of inexpressible dreariness and desolation. Even at noon, when the sea-like expanse of storm-drifted snow is flushed faintly by the red, gloomy light of the low-hanging sun, it depresses the spirits and chills the imagination with its suggestions of infinite dreariness and solitude; but at night, when it ceases to be bounded even by the horizon, because the horizon can no longer be distinguished; when the pale green streamers of the aurora begin to sweep back and forth over a dark segment of a circle in the north, lighting up the whole white world with transitory flashes of ghostly radiance, and adding mystery to darkness and solitude, then the Siberian tundra not only becomes inexpressibly lonely and desolate, but takes on a strange, half terrible unearthliness, which awes and yet fascinates the imagination. (Kennan 1870: 19-20). The tundra then, for many dark months lacking even a horizon on which to rest ones' eyes, was thoroughly dreary and desolate. This was nature in the raw. Yet it also acquired an air of personality - forlorn, filled with melancholy, with ghostly radiance that was not quite physical, of this earth, more a product of one's imagination. A state of mind, or existence at its most lonely and depressing, "Siberia" named as much an idea as a physical entity, despite numerous travel accounts, explorations and permanent settlements over the centuries. Portraits of silence, of white, wind swept nature at its most still, have for centuries dominated representations of the eastern part of Russia. For hundreds of years this was the outstretched land behind the "Rock" - the Ural Mountains, the emptiness and the frozen state as the place of Europe's distant past. Even before Europeans began searching for their long forgotten ancestors, Siberia represented the sort of silent, snow-covered expanse that they might have left behind. The land, in other words, was a ready stage for prehistory. Its vast geographic space not only suggested the Ice Age, the sense of an entire landmass frozen, but even yielded ancient remains. From time to time mammoths resurfaced, still standing with all their fur in the very place where they had been trapped for thousands of years. The Siberian permafrost thaws and, with just a little rubbing of its glassy surface, we have a window into Ice Age prehistory, including whole, fully preserved prehistoric animals, ready for any ancestors chipping stone into tools. Like other real but imagined locales, Siberia's strangeness is rooted in its stubborn persistence as a natural place. Yet unlike descriptions of tropical nature, the Amazonian rainforest or the African jungle that usually appear as lush, obscenely overflowing with vegetation, animals and gemstones, Siberia stands out for its stark nakedness. Its desolate emptiness presents an opposite view of life from that of the tropics, not lush and vibrant but frozen and hibernating. It seems a place to endure, to show one's fortitude and resolve. Settlers and peasants moved east for centuries, missionaries ventured to gather souls, trappers to gather pelts, mines and industries with thousands of workers reached deep inside to extract raw wealth. Most fundamentally, numerous groups of peoples inhabited the river valleys, lakeshores, plains, steppes, forests and coasts, their arrival sufficiently distant and mythical to deserve the term indigenous. In spite of this full history, many descriptions either overlooked human inhabitants or stressed the absence, preferring to focus on the dramatic appearance of strange, extinct or frightening animals instead. In a landscape devoid of people, this frightening wildlife, peering at the travelers from a distant time, underlines the rarity of encounters with any living creatures. Looking into the bloodshot eyes of the repulsive walruses, Albanov, a Russian navigator and one of only two survivors of the 1912 Northeast Passage, Saint Anna expedition described his heroic fate In the Land of White Death. He evoked the excruciating pain of hunger, frost bites, loneliness, despair and fear, his attempts to overcome nature surrounding him for hundreds of kilometers, without ever mentioning any native people whom he might, or hoped to, encounter. This was a land of no people, only nature in its most threatening, with walruses eating human flesh, reminiscent of the natives eating thawing mammoths. The idea of Siberia as devoid of humanity, frozen in time persisted. The land measured time in thousands of miles of empty space, the uncertain boundary between the end of Europe and the beginning of Asia. Time and geography merged to form a space of pure nature, white and terrifying, the prehistoric Ice Age available to any intrepid traveler. The End, the Beginning, and the Classical Legacy of Monsters. Siberia always lacked clearly defined borders. Currently geography designates Siberia as the beginning of Asia, starting at the Ural Mountains, extending all the way to the Pacific Ocean. However, the view that the Ural Mountains represent an obvious and natural dividing line between Europe and Asia is a relatively recent historical convention9. At the same time, judging everything behind the mountains as "Siberia" asserts a much older conception of the primacy of natural space. Although occupied by diverse nomadic and sedentary groups of people, this assertion has not changed much since the time of antiquity. To some degree it is a reaction to a lack of obvious ethnic or political unity: Siberia is not, and has never been a state in either archaeological or modern political terms. Relying on an observable physical feature, a mountain range could separate Europe from Asia, if separation is needed. Most geographers have for centuries agreed that the western flanks of the Ural Mountains are rich forests, contrasted with the eastern slopes where the grassy steppes start. Yet one should be wary of writing physical geography into cultural history, retroactively conflated as obvious and self-explanatory. Amid Russia's own historically unstable relationship with Europe and its attitude towards Asia, the addition of Siberia into this conversation highlights the ambivalent historical unity, or lack thereof, of Europe as a geographic or cultural space. An appendix that serves an essential role in the functioning of the body, purifying it but also potentially threatening with exploding and polluting or poisoning. Writing in 450 B.C., Herodotus tells us of a possible, but not certain boundary, traced from the Black sea, the Bosporus, the Caspian Sea, a boundary between Asia and Europe, mainly understood as the separation from Persia: "But the boundaries of Europe are quite unknown, and there is not a man who can say whether any sea girds it round either on the north or on the east, while in length it undoubtedly extends as far as both the other two continents" (Herodotus, Book IV 45.1). The general idea was that Europe, Asia and Libya formed an island, surrounded by an ocean of unimaginable extent. The Greeks themselves were located somewhere in a space between Europe and Asia with very little knowledge of the northern limits of the world. However, lack of empirical knowledge hardly prevented them from having extensive discussions of the northern regions, representing a utopian realm that was worth exploring in the abstract. The north in this world was not a place but a boundary, a liminal region that framed their realm, a frozen wasteland known as eremoi - empty uninhabited spaces at the edges of the world10. According to myths and Herodotus' Histories, somewhere to the North, past the last Rhipaean Mountain range (now believed to possibly have been the Ural Mountains) lay the land of the mythical Hyperboreans. Idealized and known barely more than the inhabitants of the other, more western, mythical northern kingdom, the Land of Thule, the Hyperboreans occupied a magical land beyond the reach of ordinary humans, an enchanted space where noble and horrific events occurred simultaneously, a space that was reputed but not knowable in any empirical sense. Questions about the geographic and historical accuracy and factual veracity of Herodotus have preoccupied classical scholars and geographers for some time. I do not intend to enter this debate, tempting as the exercise may be. Rather, the imaginary quality and details of their depictions are the pertinent issues for our discussion, as they established an enduring frame. The classical legacy in geography, ethnography, and travel accounts remains a crucial component of any account of the north. Greek myths accord the people of the extreme north status and importance that are equivalent to, or even exceed, their own. According to many legends Apollo, the god of light and the sun, truth and prophecy, medicine, healing (and much more), spent his winters among the Hyperboreans where he was venerated as much as in Delos and Delphi, the oracle sites he established. Boreas, the brutal northern wind prevented any "human activity", meaning plowing, growing and harvesting crops, anywhere to the north of classical Greece. The Hyperboreans lived past this harsh climate, in a utopian land of ideal environment. They were said to have led happy, unencumbered lives that lasted for a thousand years and would end by a voluntary leap off a cliff, in a land of immense beauty where the sun would rise and set only once a year, with several growing seasons every month. However, this idyllic land was separated from the land of the Greeks by an uninhabitable wasteland that would result in instant death if anyone tried to cross it. The fantastic nature of the Hyperborean land and its inhabitants, emphasized by the dangers involved in crossing the cruel north, underlined that one entered a region that was beyond knowing. This was not merely a scholarly discussion of what lay to the north of the ancient civilizations but also a discussion of ecumene (oikoumene) - the world inhabited by humans, as opposed to other creatures and mythical beings. The Hyperboreans, and the north separating them, were a geographically anchored statement on both what was humanly possible, and the range of beings who inhabited the knowable world. The Greeks and the Hyperboreans were related, linked through Apollo, through beauty and bountiful nature. The Hyperboreans represented an extended version of the Greek world, past the worldly limits, which could be imagined but not reached by mortals. Between them lay the harsh, cruel, monstrous expanse of the north, which according to the Greek view could have been populated only by monsters, in an animal or semi-human form. The classical maps depicting this world, in a trope reproduced for centuries afterward, show vicious sea monsters swimming menacingly in icy waters. The north was not just a place, but also a boundary. Cartography entails a history of place, space, and knowledge making. All maps embody traces of fantasy within their depiction of reality, as they orient the world around points of local and cultural specificity, firmly rooted in history. The beauty of maps is in their representation of a society's given perceptions about what is important as well as the desire to locate it. But they also engage in a larger work of translation of such knowledge, through circulation, exchange, and frequent appropriation. Maps capture a curious blend of representational imaginary and a practical necessity for accuracy11. However, the balance between the two - fantasy and reality - proves especially interesting when a map illustrates a general idea as much as any immediate need for navigation or a practical purpose of a journey. This is particularly striking in both indigenous map-like representations and pre-Enlightenment maps alike. Classical maps of the world were representations of knowledge and a narrative, an itinerary that was never taken or accomplished but remained a possibility. As Michel de Certeau noted, narratives and maps in pre-Enlightenment cartography intertwine into a route; a temporal narrative of storytelling connected with a spatial imperative of mapmaking12. The boats, the sea monsters, the wild animals, and half-humans stand witness to the course of a traveler on a spiritual journey at the edges of the world. At the same time they defined the local by drawing attention back to the center of the known world, contrasted with the dangers of the remote, cruel North. Magnus accompanied his illustrations with a narrative describing the peoples of the north as victims of the harsh environment, entirely determined by their climate and reduced to a savage existence, hiding in caves or eating their limbs13. The revival of classical scholarship during the Renaissance eagerly filled in any details that were missing from first hand accounts. The scholarly classical tales supplied travelers with the appropriate language to describe their encounters with the natives of the edges of the world. Abraham Ortelius illustrated his 1570 Theatrum Orbis Terrarum14, arguably the first scientific or modern atlas of the world, with over a hundred images and descriptions of northern creatures that haunted the seas. Renaissance cartographers enriched their texts by whole chapters from Pliny the Younger, who in the first century A. D. described in great detail the headless men and other nature-made creatures who occupied distant places of earth. These "marvels and monstrous races" subsequently appeared with great regularity in colonial encounters with native peoples all over the world from the sixteenth century on16. The ancient monsters and marvels fused with medieval folklore aided by print on one hand, and travel to distant places on the other. Non-European peoples, whatever their size, shape, or skin color, became quite interchangeable - wild, non-Christian, and equally monstrous at the edges of the world, in Africa, South America or Siberia. However, the Siberian native peoples carried the additional burden, only reinforced through travel accounts, of inhabiting a particularly bleak and harsh environment, one that could have resulted only in bare crude existence and mere survival. While lush, abundant jungles kept people in Africa or South America in a state of primitive indolence, the barren and desolate landscape had a similar effect on the natives of Siberia amid barren desperation. From this European perspective, the temperate and moderate became the ideal of both climate and human nature, driving civilization17. In the sixteenth and seventeenth centuries, Russia hovered on the margins of European awareness as a potential major empire, with only a few maps to give some visual guidance to its riches. However, the country loomed large in the imagination and curiosity of the emerging scientific community in the early seventeenth century in England, France and Germany. The strangeness of the place was too hard to resist. The vast landscape to the east appeared a source of information on natural phenomena that were rare or impossible to obtain in Western Europe. The potential wonders of the east proved both an exploratory and an explanatory device. They enabled the search for knowledge and simultaneously explained why the distant places were so dramatically different. For subjects related to the extremes of nature - of particularly great fascination and import in the formation of field sciences - the northern and eastern parts of Russia offered fertile ground. The emerging experimental philosophers of the mid-seventeenth century, fascinated by the mechanics of nature, saw the vast empire as a perfect setting for observations related to cold climate and its effect on various parts of the body20. Unusual natural phenomena not encountered or found in many other places were in abundant supply. Russia held out the prospect of the wondrous and monstrous, observable and yet at safely distant in Russia. The phenomena indulged both the rational conception of scientific curiosity and the fascination of travelers for the strange, exotic and supernatural. Siberia in particular was a place of natural wonder and horror. Early scientists set about exploring the effect of cold on dead bodies, experimenting with injections of various substances into animal veins to observe the action of freezing cold on circulation, and searching for plants and animals not seen anywhere else, such as the mythic "vegetable lamb of Tartary", a supposed plant-vegetable hybrid described later. The increasing fascination with distant geographies as places that had to be visited and witnessed first, or at least second-hand, combined with the interest in the mysterious interior of the body. "...it now concerns the inquiring World to take notice, that this subject, as it hath hitherto bin almost totally neglected, so it is now, by this Excellent Author, in such a manner handled, and improved by near Two hundred choice Experiments and Observations, that certainly the Curious and Intelligent Reader will in the perusal thereof find cause to admire both the Fertility of a Subject, seemingly barren, and the Author's Abilities of improving the same to so high a degree. (Boyle 1665: 47). The work was published in the very first volume of the Philosophical Transactions of the Royal Society. The Royal Society, founded in 1660, named explaining the purpose of natural philosophy to be one of its primary goals. Its members advocated experiments as a way to know nature and understand the mechanical processes as a proof of the wisdom of God and the beauty of Nature. One of the central tasks of this new society was to establish the truth of scientific matters through experiments rather than through citation of authority. At the time it was the only official scientific society in Europe, but held out the ambitious goal of creating an Empire of Learning that would consist of a global network of scientists and correspondents, relying on the language of science as the lingua franca. Thus travel to and communication with distant places were central and essential to collecting materials and facts. Numerous gentlemen scientists, physicians, merchants, nobles, and members of embassies in distant places took up fieldwork with passion and zeal. The Philosophical Transactions regularly published in every volume specific "inquiries" for travelers in remote parts of the world, questions deemed essential for the expansion of knowledge and "natural history". The questions emphasized nature when the travel was to the North and a mixture of nature and curiosity about the inhabitants when the travel was in southern regions, such as India or Brazil. They conveyed attitudes that reflected imaginative curiosity as well as assumptions about European superiority, a desire for knowledge and not simply affirmation. The distant places east of Moscow were not only culturally foreign and exotically different, but also full of fascinating phenomena either not common or never found in Europe. Northern and eastern parts of the Russian empire were hardly sought after as travel destination for reasons other than curiosity. Yet the one aspect that led to this reluctance - extreme cold - was also a problem of growing significance to scientists during the early seventeenth century, as Europe itself was experiencing unusually cold periods, later called the Little Ice Age21. Since his Majesty has been in Poland and seen the manner of the Princes houses there, and ghess'd at the mode of their Kings, his thoughts are advanced, and he begins to model his Court and Edifices more stately, to furnish his Rooms with Tapestry, and contrive houses of pleasure abroad. As for his Treasure of Jewels, I think no Prince doth exceed him, yet he hath many foul Stones, but the Russians affecting greatness in Jewels, will upon that score dispense with small faults. The fashion of the Emperours clothes is like that of his Nobility, but only richer. That of the Empress is the like, only the tire of her head is higher, and her smock sleeves longer, about ten or twelve yards length, and her upper most Gown has wide sleeves like our Batchelors of Arts, which all her women of honour wear also. (Collins 1671: 64-65). Siberia is a vast unknown Province, reaching to the Walls of Cataya. I have spoken with one that was there, who traded with the Chircasses, and amongst also who said he saw a Sea beyond Siberia wherein were Ships and Men in strange habits, like the Chircasses by their description, rich in cloth of Gold and Jewels, no Beards but on their upper lip. ... 'Tis so excessive cold here, that water thrown up into the Air will descend congeal'd into Ice. The most Northern parts affort no Bread, but Fish in abundance, which they eat dryed instead of bread, and yet they live to a great age. They feed their Cows with Fish during the frost, which makes the milk taste fishy. The River Ob is a vast River, whose end is as yet unknown (Collins 1671: 74-77). The immense size and the unknown - and unknowable - nature of the land east of Moscow in the second half of the seventeenth century reflects continuing myth more than realistic observation. It was a myth that Collins and many writers from later periods helped perpetuate, successfully enough that elements survived well into the twentieth century. Beyond the question of whether or not such details were empirically true, their continuing popularity among even those devoting themselves to scientific pursuits suggests both the force and inertia of imagination. This account makes clear that, in addition to exceptional figures like Doctor Collins, a number of foreigners lived in Muscovy during the seventeenth century on a permanent or long-term basis, working in various positions. Furthermore it is also apparent that by this time Siberia was a part of a discourse of punishment, a place of settlement of unwanted elements in the society, be they war captives, undocumented foreigners or landless peasants. Clearly a place with a name, a purpose, and reputation, Siberia was a part of the spatial imagination of the empire and its neighbors. Thus the "vast unknown province" to the east was a state of mind of Western Europe rather than a geographically or historically accurate statement. In the Middle Ages Russia may have indeed been an isolated end of Europe with local wars around its edges. Yet Peter the Great was not the first ruler who changed the outlook and relations with the rest of the world. Rather, the Russia he adjusted and translated into a modern European image was a transforming and expanding empire well before Western Europeans came to realize the potential significance of the vast space to the east. From the mid-sixteenth century on, beginning with Ivan the Terrible (1533-1587), Russia conquered and gradually acquired the lands of Siberia28. Through this acquisition Russia connected Europe and Asia, becoming an Asian as well as a European power, its influence reaching all the way to the Pacific Ocean. Yet foreigners and Western Europeans in particular, continued to perpetuate the myth of the land far away, still claiming one hundred years later that Siberia was a "vast unknown province". The Strange, the Aberrant, and the Wonderful. Our fictional German travel guide, Simplicissimus, offered tales of foreign encounters and happenings in Moscow, the threats of Siberian exile, as well as eyewitness accounts of the strange and bizarre in the distant lands of Siberia. The sheep-plant was but one of such wonders that many heard about and a few, like our hero, even swore to have tasted. Aside from the incredible and oft-mentioned cold in the barren landscape, Siberia and the eastern parts of Russia continued to emphasize monstrous and wondrous life forms. Travelers commented on expected and experienced discomforts. However, they devoted a lot more ink and attention to aspects of the natural world that defied reason, phenomena that were found on the margins, reminding them of the wonders of nature and God. Why might they have done so? What led to this persistent, fervent belief in the wondrous and monstrous at the eastern edges of Europe? Magnus' maps with sea-monsters, mentioned earlier, carried on a classical tradition of representing distant places that received renewed attention in the Renaissance. However, these sea monsters transformed into natural objects of a much richer variety, observed and described by travelers and sought by natural philosophers of the seventeenth century. As Lorraine Daston points out, the preternatural (beyond nature) served to elucidate that which was a part of nature, unlike the supernatural that was related to the works of God.32 These phenomena lay beyond the quotidian, yet were still ruled by some rules of nature.33 The natural marvels were of particular interest to a form of science that sought to account for even the most marginal, corralling all curious and exotic sheep into the scientific pen along with their more common cousins. This difficult balancing act of coherence that scientists of the sixteenth and seventeenth centuries combined with the collecting impulse of wealthy owners of Wunderkamer. Cabinets of curiosities have been well described by historians of science34. Both these collections, and the form of curiosity that led to their study, constituted an essential part of the emergence of modern western science. Their disappearance, as Daston notes was not a "natural death. "35 Rather, later sciences cannibalized this preternatural philosophy, replacing wonder with diligence, curiosity with utility. Let us return then to our topic, the shamans of the East. In pursuit of such wonders or monsters, we need to extend the gaze and see what is behind the geographic mirror of strange objects from the East. When such marvels ceased to be marvelous, what happened to the place where they came from? Siberia did not simply transform overnight into a place of natural phenomena that are measurable and easily explained, an ordinary place similar to any other bucolic rural place in Europe. Rather, it continued to be a place that defied common sense, a geographical landmark for the marvels of nature. The story of Siberian native ritual practitioners connects the inhospitable cold, barren landscape, the strange plants of the Medieval and Renaissance periods, and the later colonial fascination with native peoples of the region, particularly their rituals and the shamans performing them. The larger geography of fascination may have changed over time, but it remained the overarching narrative associated with Siberia. While this story itself fit perfectly well within the medieval bestiary, the narrative also ascribed particular attributes to the geographic and natural context surrounding this plant/animal hybrid. As with the sea monsters, the vegetable lamb claimed many faithful witnesses, who swore to have seen it, growing like a flower in Tartary (the long lasting name for Siberia and many parts of the land east and south of Moscow). But it increasingly demanded not simply observation but also explanation, which texts sought to discover in surrounding conditions. A seventeenth century French rendition of this wonder phenomenon, in Claude Duret's 1605 edition Histoire admirable des plantes et herbes esmerveillables et miraculeuses en nature37, held that the air in this land was dense and heavy, an inhospitable place where animal and plant joined their efforts to survive by becoming one strange creature. By the close of the eighteenth century in England, however, it was understood that only in an arctic cold air could such a fantastic creature could emerge. And icy bosoms feel the secret fire! For all that Samuel Taylor Coleridge admitted in 1796 that Darwin's poetry "nauseates him", the poem was highly popular and circulated widely. 40 Darwin's exaggerated verse aimed primarily at translating and popularizing Linnaeus' classificatory system. He mocked beliefs in mythical creatures, but simultaneously evoked an exotic place from which such myths circulated, so distant that poetry and science merged into common inspiration. This was a land "cradled in snow and fanned by arctic air" still capable of passion, a place so unlike English botanical gardens, yet governed by similar emotion. By the late eighteenth century preternatural philosophy lost its allure in the scientific circles, the exceptional and marvelous gave way to the rule abiding and tested. Instead, natural philosophy turned to developing categories that would group phenomena and specimens by common features. In the years after Darwin's poem few scientists cared any longer for the Vegetable Lamb of the East, even if it continued to exist in popular lore41. Yet such travel narratives from distant lands, as well as the scientific reports regarding observations and experiments conducted there, shaped these geographical locations in the imaginary landscape of early science42. These narratives of Siberia contributed to the spatial and cognitive perception of the place that far outlasted the Vegetable Lamb. Visualizing, and consequently imagining as known, a distant place through travel and scientific descriptions is one of the tangible effects of science, particularly colonial science. This effect creates the place, and imprints it with markers that are far more permanent than changes in history or scientific discoveries. Siberia was never quite the extreme opposite of Europe, the eastern Other, a position more often reserved to China or India. But it was never conceived of as belonging to Europe either. The "vast unknown province" in Doctor Collins' words remained the Vegetable Lamb of geographic representations, a hybrid that did not belong to one defined category. Even after the lamb vanished, the north that once sheltered it remained marked by earlier accounts and travelers' detailed impressions. Centuries of the images of the land of white death, extreme cold, strange plants and animals all contributed to the representation of Siberia as the ideal place for banishment. It was a place between heaven and hell, and thus a suitable purgatory for Russia's undesirables. Even as the sea monsters of the old maps and the vegetable lambs ceased to be geographic realities, Siberia remained a land apart, extending deep into the imagination. It would be discovered many times over, stubbornly remaining a terra incognita, full of expectations, fears and wonders. The shamans who once inhabited it, would likewise play an enduring role. Unlike the Vegetable Lamb they would persist into scientific reality through ethnographic observation. And yet, once they had done so, they would leave Siberia, floating free through the world. As they traveled, they moved away from the maps of modern geography, and onto conceptual ones, to the extent that their specific origin could be forgotten. It is my goal in this book to bring the roots, strings and loose tangents of encounters and narratives about Siberia and its shamans together. I will not try to capture the essence, find the original shamans, as they are as elusive as the vegetable lamb, and equally no less real. 1 White, Richard. 1992: 874-91 2 Milne, Alan Alexander. 1992. 3 Diment, Galya, and Yuri Slezkine 1993. Ethnographic and historical writing on Siberia has grown significantly in the last two decades. For rich and nuanced accounts see e.g. Bassin, Mark 1999; Burbank, Jane, Mark von Hangen and Alex Remnev (eds.) 2007; Grant, Bruce 1995; Kivelson, Valerie A. 2006; Ssorin-Chaikov, Nikolai 2003; Sunderland, Willard 2004; Willerslev, Rane 2007. 4 Niven, Jennifer 2000. 5 Kennan, George 1870. 6 Cohen, Claudine 2002. For a broader discussion of issues of human origins, aside from mammoths, that are in the crevices of facts and imagination see also Cohen, Claudine. 1999. 7 Albanov, Valeri 2000. 8 Herodotus 2008. For an analysis and a discussion see Hartog, Francois 1988. 9 See e.g. Appleby, John H. 2001; Karp, S. Ilya, and Larry Wolff 2001; Khodarkovsky, Michael 2002; Klug, Ekkehard 1987; Wintle, Michael J. 2009. 10 For a perceptive analytical reading of the maps and images from a classical perspective see Small, Margaret 2007. 11 The literature on maps as images and tools of colonial and imperial desires is at this point rich and varied. Nevertheless some regions have been receiving far greater attention from this perspective. Siberia has not been at the center of these conversations. Two earlier and still significant works are an edited volume by Anne Godlewska and Neil Smith (eds. ), 1994, as well as Carter, Paul 1987. The cultural geographer Denis Cosgrove addressed the topic in his 2001 volume and in 2008. For a productive and nuanced discussions and historical perspectives see e.g. Akerman, James R. (ed) 2009; Black, Jeremy. 2003; Driver, Felix 2001; Edney, Matthew H. 1997; or the recent French edited volume that devotes attention to French colonial mapping in North Africa but also on Spanish America and colonial maps of China Hélène Blais, Florence Deprest, and Pierre Singaravélou (eds.) 2011; Lestringant, Frank 1994. 12 Certeau, Michel de. 1984. 13 For wondrous illustrations and graphic detail see Olaus, Magnus 1996. 14 Ortelius, Abraham. 1964. For a discussion of Ortelius as a historical figure and the significance of his work see also Koeman, C. 1964; Binding, Paul 2003; Broecke, van den Marcel 2011. 15 Münster, Sebastian 1561. See also Fudge, Erica 2004. 16 For general points see e.g. Cosgrove 2001, Wintle 2009; for a discussion specifically pertaining to Russia see Mund, Stéphane. 2003. 17 See e.g. Livingstone David 2002. 18 Boyle, Robert 1665. 19 Feb. 7, 2008 a National Public Radio radio moderator in a conversation with the archaeologist Brian Fagan on climate change and human mobility in prehistory. 20 A well-known discussion of experimental science in a broader historical and political context is provided in Shapin, Steven 1985; see also Loewenson Leo 1955. 21 Behringer, Wolfgang 2010. See also the edited volume Behringer, Wolfgang, Hartmut Lehmann and Christian Pfister (eds.) 2005 for specific fascinating case studies of cultural changes in Europe during the Little Ice Age. 22 For a much more thorough discussion of Boyle's role in the history of experimental science, and his beliefs in alchemy and magic see Hunter, Michael C. W. 2009. 23 Collins, Samuel 1671. 24 Pioneering work on the subject is Hodgen, Margaret T. 1964. Only recently has the subject received more attention in the work of e.g. De Angelis, Simone 2008; Kenny, Neil 1998; Wolff, Larry and Marco Cipolloni 2007. 25 See e.g. Appleby, John H. 2001; Berry, Lloyd E. and Robert O. Crummey (eds.) 1968; Sparwenfeld, Johan Gabriel and Ulla Birgegård 2002; Teissier, Beatrice 2011; Strahlenberg, Philipp Johann von 1970; for a different perspective of early Arabic travellers to regions of present day Kazakhstan see Ibn Fa?l?n, A?mad 2012. 26 For a history of the search for the naval passage see e.g. Granberg, Aleksandr Grigor?evich and Vsevolod Il?ich Peresypkin (eds.) 2006; Zeeberg, Jaap Jan 2005. 27 Grimmelshausen, Hans Jakob Christoph von 1962. 28 For a history of Ivan The Terrible and his rule see e.g. Alshits, Daniil N. 1988; Filjushkin, Alexander 2008; Shambarov, Valerii 2010; for a general history of the time period see e.g. Forsyth, James 1992; Kappeler, Andreas 2004; Khodarkovsky, Michael 2002; Lieven, Dominic 2006. 29 John Parkinson (1640) explained in his Theatrum botanicum: The Theater of plants or An herbal of a large extent: "Plantanimaleu Borametz Agnus Scythicus. The Scythian Lambe: This strange living plant as it is reported by divers good authors is called by the Natives Borametz quasi agnellus, by others either Planta Ruthenica agno similis, or Agnus Scythecus, or by some Planta animal; it groweth among the Tartares about Samarcanda and the parts thereabouts rising from a seede somewhat bigger and rounder then a Melon seede, with a stalke about five palmes high, without any leafe thereon, but onely bearing a certaine fruit on the toppe, in forme resembling a small lambe, whose coate or rinde is wolly like unto a Lambes skinne, the pulpe or meate underneath which is like the flesh of a Crevise or Lobster, having as it is sayd blood also in it, it hath the forme of an head, hanging downe, and feeding on the grasse round about it, untill it hath consumed it and then dyeth, or else will perish if the grasse round about it bee cut away of purpose: it hath foure legges also hanging downe: the Woolves much affect to feede on them". (ch LXVII). Jonstonus Joannes in 1657 provided an even more colourful description of the same animal/plant: "Scythian Lamb is a Plant that come undefined span of illegible text seed like a Kernel, but not so long. It grows like a Lamb about three foot high, and is like a Lamb in his feet, claws, ears, the whole head, except the Horns. For Horns; it hath ...: is singular like a Horn, and a very thin Horn covers it, the inhabitants take it off, and use it for cloathing. It is of a wonderfull sweetnesse; Blood runs forth of the wound. As long as other herbs grow about it, so long it will live. It dies, when these are gon. Wolves desire it, but other beasts that feed on flesh, do not. The Bashfull-Tree draws back, if you but touch the leaves with your hand. They that are not used to it from their Childhood, if they eat it afterwards, it kills them: also it kills those that are used to it; but hurts not those if they continue it. The women of Cambaya· when they would avoid punishment feed of it; and dye without pain. The King of Province fed with this from his young yeares grew so Venemous, that the very flies that but suckt his skin swell|ed and died with it." (1657: 354) 30 Bynum, Caroline 1997. 31 For discussions of early travel, the discoveries of the marvelous and distinctions between monstrous animals and humans see e.g. Campbell, Mary 1988; Daston, Lorraine and Katharine Park 1998; Fudge, Erica, Ruth Gilbert and Susan Wiseman (eds.) 1999; Ostovich, Helen, Graham Roebuck and Mary V. Silcox (eds.) 2008. India occupies a dominant space in writing on travel and the wondrous, see e.g. Nayar, Pramod K. 2008; but also early writing e.g. Wittkower, Rudolf 1942. 32 Lorraine Daston 1998. 33 See historic writing on "the Scythian lamb" quoted above. 34 See e.g. Daston, Lorraine and Katharine Park 1998; Daston, Lorraine, and Klaus Kruger. 2002; Impey, Oliver and Arthur MacGregor (eds.) 2001; and Findlen, Paula 1994, work that focuses specifically on the rise of natural history museums. 35 Lorraine Daston 1998: 49. 36 Tryon, Alice 1957. 37 Duret, Claude 1605. 38 Darwin, Erasmus 1991. 39 Browne, Janet 1989. 40 Idem p. 604. 41 Laufer, Berthold 1915. 42 For an extended argument see e.g. Livingstone, David N. 2003; Naylor Simon 2005. Wayward Shamans tells the story of an idea that humanity’s first expression of art, religion and creativity found form in the figure of a proto-priest known as a shaman. 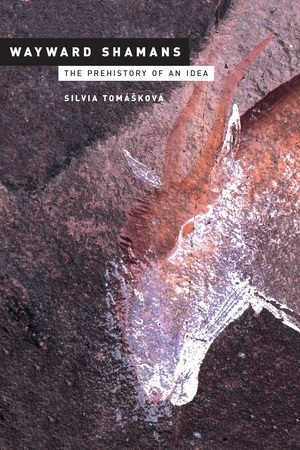 Tracing this classic category of the history of anthropology back to the emergence of the term in Siberia, the work follows the trajectory of European knowledge about the continent’s eastern frontier. The ethnographic record left by German natural historians engaged in the Russian colonial expansion project in the 18th century includes a range of shamanic practitioners, varied by gender and age. Later accounts by exiled Russian revolutionaries noted transgendered shamans. This variation vanished, however, in the translation of shamanism into archaeology theory, where a male sorcerer emerged as the key agent of prehistoric art. More recent efforts to provide a universal shamanic explanation for rock art via South Africa and neurobiology likewise gloss over historical evidence of diversity. By contrast this book argues for recognizing indeterminacy in the categories we use, and reopening them by recalling their complex history. Silvia Tomášková is Associate Professor of Anthropology and Women’s and Gender Studies at University of North Carolina, Chapel Hill.